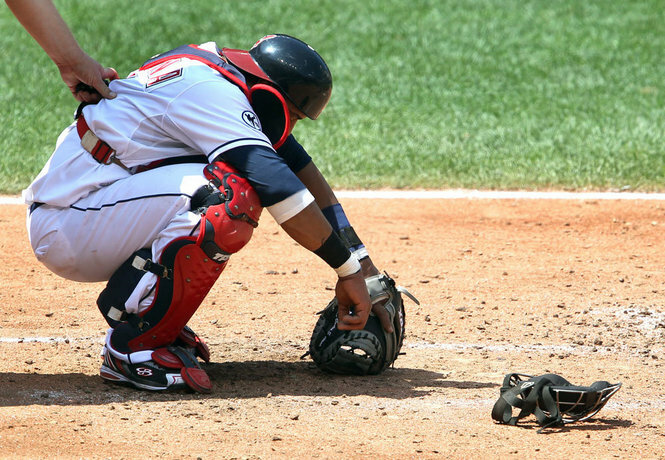 We hate to say the season is over for the Cleveland Indians when the team still has 35 games to play. But after Wednesday’s loss to Seattle, the Tribe sits 6 games out of first place and it’s hard to see this team turning things around. Because of injuries manager Manny Acta rolled out his AAAA lineup against the Mariners, with Ezequiel Carrera, Cord Phelps, Shelley Duncan and Jason Donald. No Shin Soo-Choo, Travis Hafner, Asdrubal Cabrera, etc. Coming off a three-game sweep at the hands of the Tigers in Detroit, the Tribe started their longest – and most important – home stand of the season needing to get things rolling. Instead the Mariners, who came into the series with a record of 53-72, manhandled the Indians in taking three out of four games. Seattle, the worst-hitting team in the American League, scorched the Tribe for 29 runs and 51 hits in the four games. In less than a week the Tribe has gone from being 1.5 games behind Detroit to losing 6-of-7 and being outscored 51-27 along the way. The strain of having to be perfect every night has finally taken its toll on the pitching staff, which has struggled the past week – from Ubaldo Jimenez, to Josh Tomlin and Chris Perez. Against Detroit and Seattle, the starting pitchers were 0-5 with an ERA of 9.35. They couldn’t get through the fifth inning in four of the seven games, wearing out the bullpen. While it is certainly possible the Indians can get back in the pennant race, they have to hope Detroit fades in the final month, and they also have to worry about White Sox, who sit just a half-game back in third place. The big fear is all the injuries and inexperienced players will lead the Indians to stumble through the last month of the season, spoiling what has been an entertaining and, ultimately, a successful season. For the first time since 2007, it’s almost September and fans still care about the Tribe. Young starting pitchers Justin Masterson, Tomlin and (for the most part) Carlos Carrasco grew up this season. The bullpen (most nights) has been lights out, with Perez, Joe Smith, Vinnie Pestano and Rafael Perez. Youngsters Lonnie Chisenhall and Jason Kipnis have had an extended taste of life in the big leagues and lived to tell about it. Sadly, if the team stumbles down the stretch that is what some fans will remember about this season, undoing all the goodwill the team built up during its 30-15 start and battle for a division title through most of the season. Even if a playoff spot is no longer a realistic option, the Tribe needs to finish relatively strong so that they can walk away from this season knowing they have started building a foundation toward contention for the next few years.